Lieberman's helps customers save money by consolidating freight, eliminating minimums, and reducing inventory. 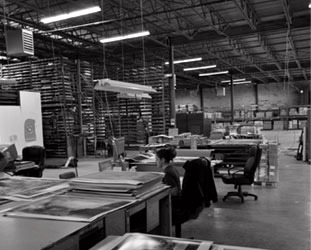 Lieberman's remains committed to custom framers and online retailers, and has evolved into the industry's largest print, poster, and fine art wholesale consolidator. Based in Monmouth Junction, NJ and servicing thousands of customers domestically and internationally, Lieberman's philosophy has always been to provide all customers with attentive and friendly service, regardless of size. Founded over 30 years ago, Lieberman's originates with a gentleman named Abe Pollock and his one man operation called the Gallery Picture Company. By visiting frame shops with a rented car and a trunk full of product, Abe sold a few hundred prints from a handful of publishers covering the Metro New York area to the Ohio River Valley. In 1977, Sandy and Lila Lieberman noticed a classified ad in the New York Times announcing the sale of the Gallery Picture Company. Having already built a national wholesale business selling poultry to both mom and pops and larger chain retailers, the Lieberman's seized the opportunity to grow and develop a wholesale distribution business in the picture framing industry. They purchased the Gallery Picture Company for a few thousand dollars and changed the name to Lieberman's Gallery. After making just one road trip in an effort to sell prints and posters, Sandy realized there were more efficient ways to cover large geographies. 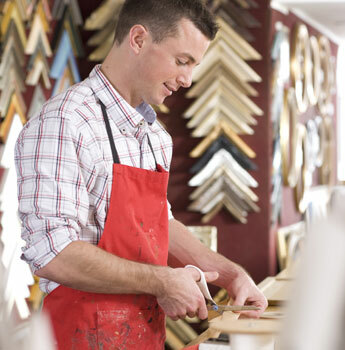 He established a toll free number and implemented direct mailings to custom framers announcing Lieberman's services, which included "pay one freight" and "no minimum" order requirements. His national campaign paid off and a couple years later, in 1980, their sons Bruce and Daniel decided to join the family business, followed by Paul in 1988. Through their efforts and over a period of ten years, the Lieberman's had grown the business to thousands of accounts, were selling over forty thousand images, and represented fifty publishers to become the world's largest wholesale consolidator of prints and posters. In early 1991, they relocated from New York, NY to Northampton, MA and the three brothers purchased the business from Sandy and Lila Lieberman, who remained involved but enjoyed a semi-retirement until Sandy passed away in 1995, followed by Lila in 2000. 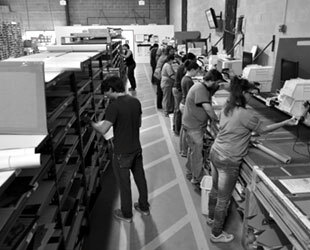 After establishing themselves over a period of twenty years as the "One Stop Shop" for prints and posters combined with their operational excellence, by the early 90's they formed a partnership with Bernice Galef who founded Print Finders, where Lieberman's served as the drop ship fulfillment company for all of Print Finder's telephone orders. Through that experience and with the growing use of the internet, Lieberman's began to provide their database of images combined with a drop ship fulfillment program to companies wishing to become online retailers. This essentially led to the successful launch of popular brands such as Art.com, BareWalls.com, and AllPosters.com, to name a few. In March of 2008, and more than thirty years after the business was founded, the brothers decided it was time to move on and sold Lieberman's. Staying true to the "pay one freight" and "one stop shop" convenience with the introduction of technology improvements and service enhancements, the new owners have continued with the legacy that was established by the Lieberman's.